As August is coming to an end, I thought i would share some of my favourite products i have been using this month. First up is the ‘Maybelline fit me concealer.’ I have been using this for a couple months but during August i have been trying to wear less makeup so i ended up just using concealer and this has been a life saver! The coverage is great and it doesn’t come out cakey at all. I haven’t got flashback using this so i can always look good for the mini photoshoots when i go out! The next product i have loved throughout August is ‘Sí’ by Giorgio Armani. I actually ran out of my bottle but luckily Sam surprised me and bought me a new one when he got back from holiday. He’s a gooden’. I love the fruity sent and it always lasts throughout the day. As I’m on holiday, i have been absolutely loving my Topshop sunglasses! They’re so comfy and look great too. I have them in the rose gold colour with goes with every outfit i wear. I would highly recommend these sunglasses to anyone!! I have also used the “Hawaiian Tropic Oil” nonstop since i have been on holiday. It smells so good and works like magic. Normally it takes me a while to start getting a tan even when I’m sunbathing all day, however with this oil i saw the tan lines appearing straight away! Hopefully i can continue to tan even more as the holiday continues. Finally i have been using the Topshop handbag religiously. This handbag has stood by me since the day i bought it. (When i say i bought it i mean i picked it and sam bought it because he’s the best boyfriend everr!) Its quite a big bag so fits in everything i could need for the day. I also use it as an overnight bag if I’m staying out for the night, it even fits in all my makeup too! 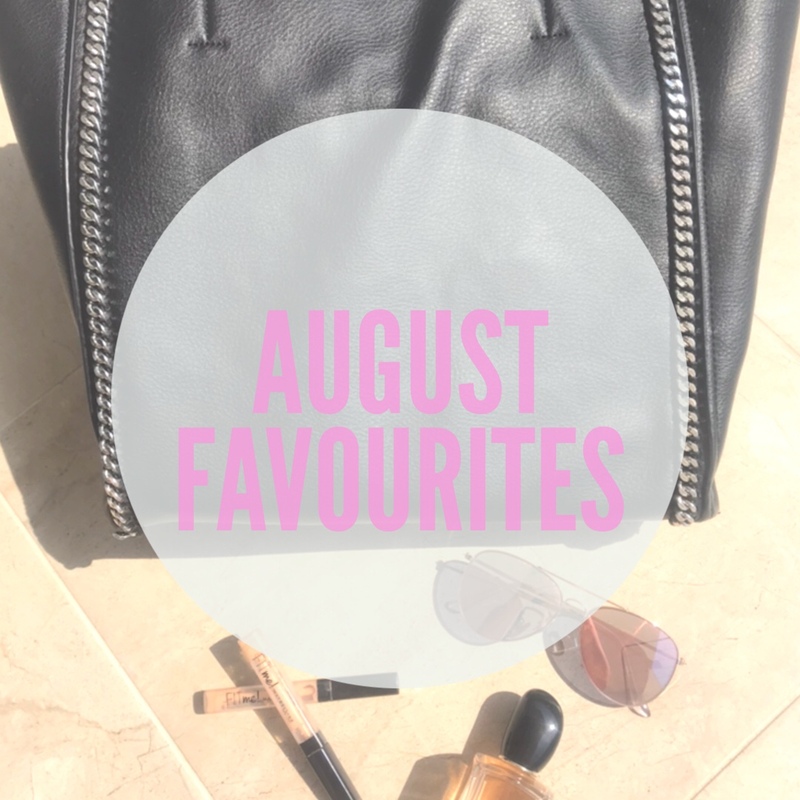 Be sure to comment down bellow which products you’ve been loving this month as I’m always on the look out for new things to fall in love with! I love Si too ♥ I think I’m on my 4th bottle of it now – it is just one of ‘those’ perfumes – so amazing. I also came to like Mon Paris by YSL this summer and L’eau by Jimmy Choo. I’ve been really good though and not bought any makeup all summer and just using what I’ve had in – looking forward to autumn for some new supplies!